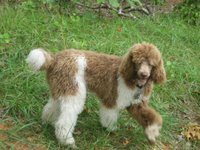 We breed Moyen(medium) poodles in the fabulous colors of red, chocolate, and parti! 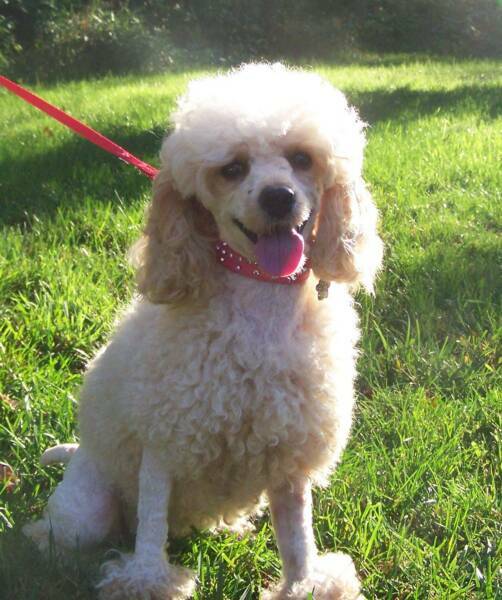 Our poodles have a fantastic temperment and a wonderful personality! Our puppies come from tested parents. Occassionally we have standard puppies. We produce Moyen sized Poodles, Moyen means Medium. Our babies end up between 15-18" tall and about 18-35 lbs full grown. We breed quality, sound temperaments. 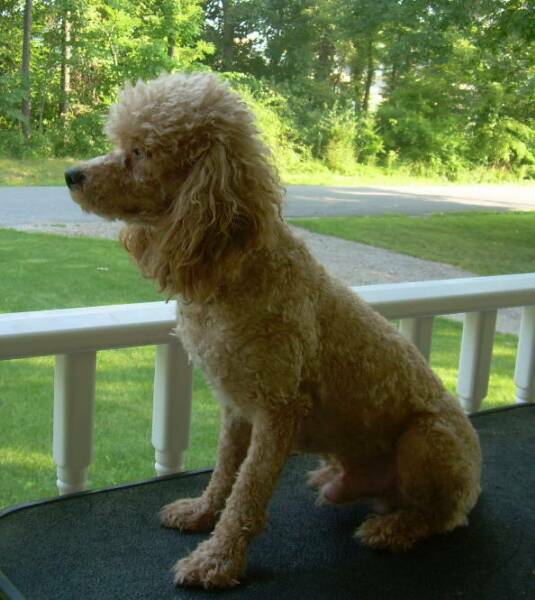 We are located in Southwestern PA.
Our Poodles live with us, within our home as pets. Their puppies are raised in our home to give you a socialized and loved new family member. We do allow our puppies to go to breeding homes, however, we must approve you and must know this before the puppy is 6 weeks old, otherwise they are spayed/neutered at the age of 7-8 weeks of age. Please visit our parent pages to read about or fabulous mom's and dad's. Please visit our nursery to see the puppies we have available for adoption. If you are interested in having one of these wonderful little puppies join your family or breeding program please email us today(email is the fastest way to get information) We have 6 children so things get busy here!! But we would love to talk to you about our babies!